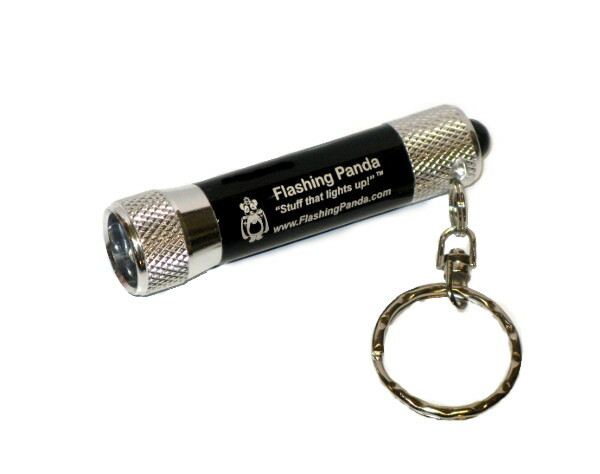 Our Flashing Panda brand torch keychain flashlight is amazingly bright, powerful, durable and reliable. 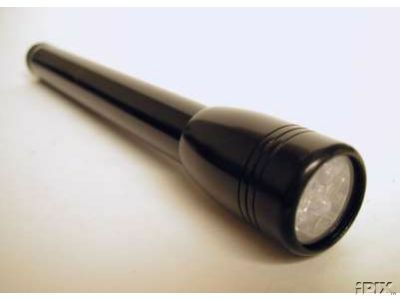 Flashlights become priceless around your home, garage, in your tool bag, car, purse, on camping trips, road trips, and much much more! And because of its versatility and the fact that it will be useful to virtually anyone, it also makes a great gift! You can't go wrong! 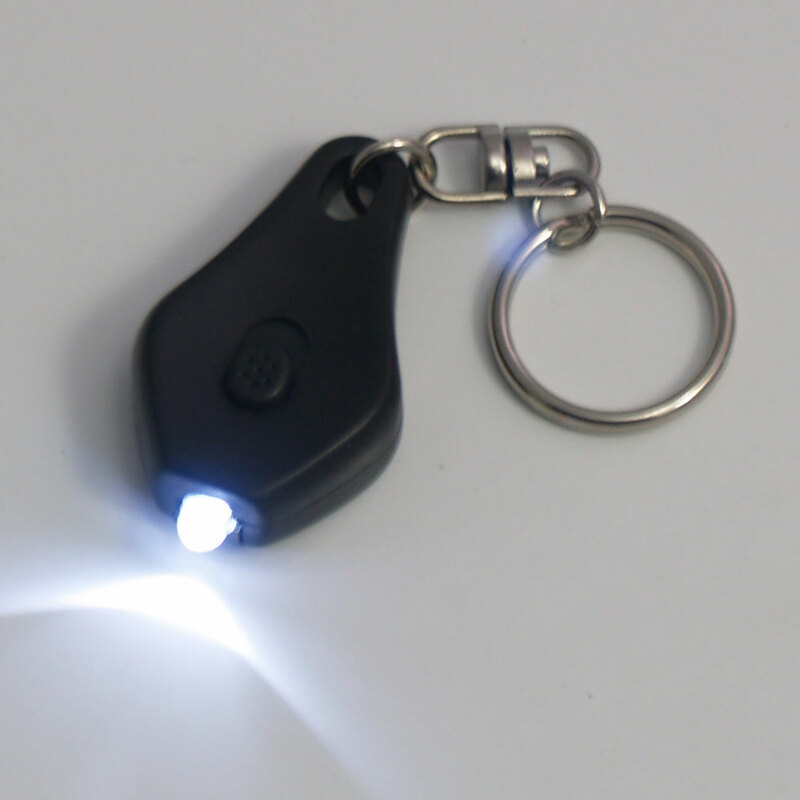 3 Very bright LED lights! Permanently attach with screws or glue to equipment or tools. 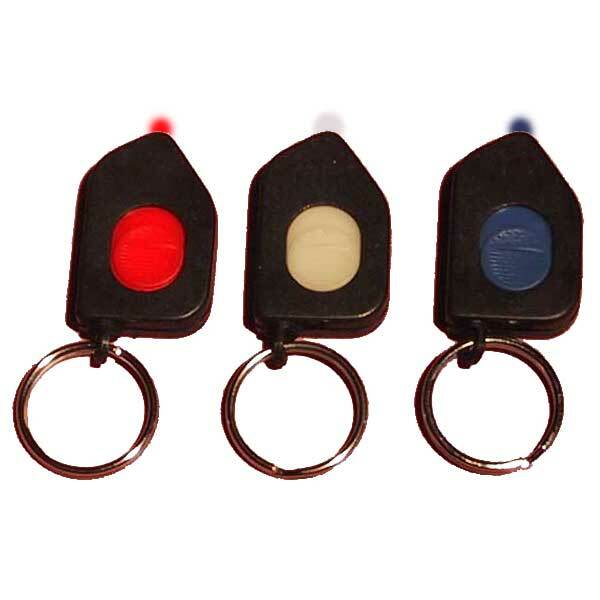 Attach with Velcro to tools, clipboards, inside vehicles/boats/planes, caps, etc. Batteries: 2 x LR44 lithium cells. Batteries: 2 x CR2016 (red model uses 1 x CR2032) lithium cells. We are a wholesaler and offer quantity pricing for your event, promotion, or for resale. 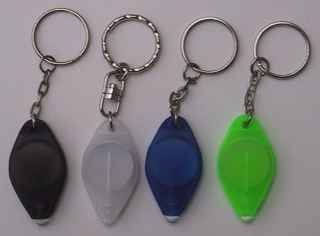 Check out our Wholesale Lots category or other listings for details. Price breaks are at 1/2 inner-case (50 units), 1 inner-case (100 units), and sub-case (500 units).